The fourth quarter of 2016 was a massive disappointment for the oil majors. 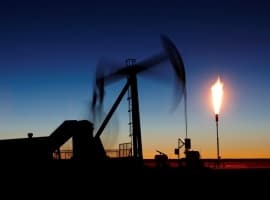 Almost without exception, all of the largest publicly-traded oil companies in the world posted highly disappointing numbers, suggesting that the damage stemming from the meltdown in oil prices is not over just yet. • Chevron: $415 million in earnings; first full-year loss (-$497 million) in more than three decades. • ExxonMobil: $1.68 billion in earnings; full-year earnings of $7.8 billion lowest since 1996. • Royal Dutch Shell: $1 billion profit in fourth quarter; full-year earnings of $3.5 billion worst in a decade. • BP: $72 million in earnings in fourth quarter; full-year loss of $1 billion. • Statoil: earnings of $1.66 billion in the fourth quarter, lower than expected. There are several common trends that emerged from the earnings reports. First, refining margins deteriorated over the fourth quarter, taking away the one solid source of profit for the integrated oil majors over the past few years. Second, the narrowing contango last year cut into profits from oil trading. The oil majors are much more known for their upstream production, and to a lesser extent refining, but they also make money by trading oil (BP and Shell, specifically). The contango allowed them to store oil and sell it at a later date at a higher price. But the shrinking contango eliminated trading as a major source of profits in 2016. 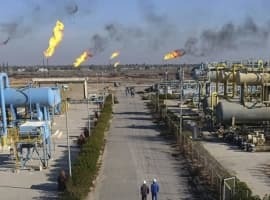 Third, the poor figures come even as oil prices improved in the fourth quarter, having climbed above $50 per barrel after the OPEC deal, essentially twice as high as the oil price at its lower point at the start of 2016. The share prices for most of the majors fell after they reported figures because investors had expected better performances. The oil majors reported a few unique circumstances of note. ExxonMobil consistently reports strong figures, but the company also took a $2 billion impairment charge for the quarter. Given that the majors have written down a combined $50 billion in assets over the past three years, that shouldn’t be all that notable. However, Exxon has refused to write down any assets, even during the worst of the downturn, a practice that attracted the attention of the Securities and Exchange Commission. Exxon, apparently with an eye on the pending investigation, decided to take the write downs. BP made a few headlines as well. The British oil giant disappointed with its loss of $1 billion in 2016, but perhaps more significant was its admission that its breakeven price is not as low as it once expected. 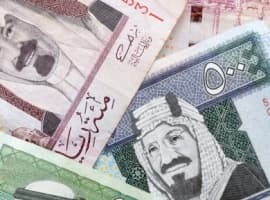 Last year, the company stated that it would be able to breakeven with oil prices trading between $50 and $55 per barrel – if prices moved any higher, it would be in profitable territory. But in its latest quarterly results, the company said that it now needs $60 per barrel to breakeven, a worrying figure for the company given that the average estimate for oil prices for 2017 among 15 investment banks surveyed by the Wall Street Journal is just $56 per barrel for Brent and $55 for WTI. It is also a worse figure than its peers. Exxon is also stepping up spending this year with an eye on growth. It just spent more than $6 billion in acquisitions in the Permian Basin in January, and its higher spending levels make Exxon stand apart from its peers, nearly all of whom are heading into a third consecutive year of cuts. Even BP, which booked another $7 billion in charges related to the 2010 Deepwater Horizon disaster, is looking forward to an improved year in 2017. BP made billions of dollars in acquisitions late last year in Abu Dhabi, West Africa and Egypt, and also greenlight a major drilling project in the Gulf of Mexico. After years of cuts, BP is hoping to drill more and grow production. In short, the fourth quarter was worse than expected, but oil executives are confident that the worst is over. Of course, the fortunes of the oil majors in 2017 largely come down to the price of oil. And on that front, everything remains up in the air, although few expect a return to pre-2014 price levels anytime soon.